to address the high number of submissions we’ve been getting, “cornswap catalogue” joined the swampcone publishing fleet. cornswap comes with 1 guest editor spot and doubles the space for publishing comics. We’re launching the new issue dec 9!! Well........... It's time again to release another bundle of comics. We've been gathering comics on the theme of MISSING and come December 9th these 5"x8" gems will be printed in a staple-bound publication and ready to sit on your bedside table so you can read comics about absence, loss, milk, ghosting and disappearance before you sleep through another long winter! Swampcone Magazine acknowledges this event takes place on the unceded territories of the Musqueam, Squamish, and Tsleil-Waututh peoples. Issue 4 a&b: "For You"
Thank you everyone for the submissions!! This Swampcone cover is made from an animation frame! I'll be publishing a new issue of Call Out Comics, to debut at Broken Pencil Canzine in Toronto in October. Call Out seeks confrontational comics that challenge a person, idea, pet-peeve, etc. and/or attempt to hold someone/something accountable for their words/actions. Think fierce. Older not new work is ok.
- Full page: 10" x 13 "
Selected artists will receive $10/comic + 10 complimentary copies. 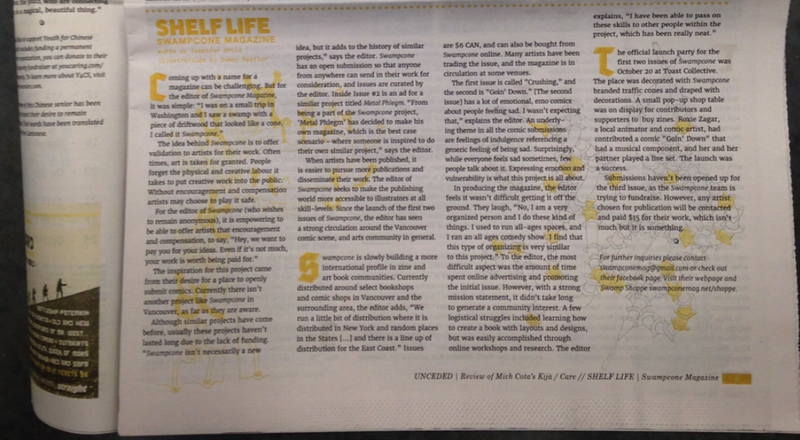 Thanks to Graham Sigurdson & Broken Pencil for the review of Issue 1! We'll be at Vancaf on May 19&20 in the Lucky's Lounge room at table L6. We are also presenting a panel at 2pm on Saturday. Presented by Swampconemag. 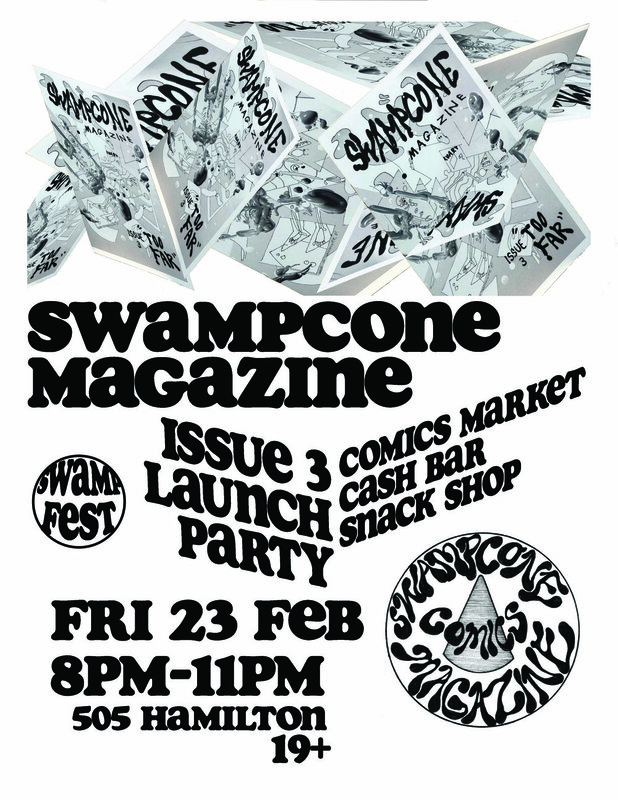 Unaffiliated strangers will Cold Read all three issues of Swampconemag and give their Hot Take. All the readers involved will be experiencing this local comics anthology for the first time. Submissions are open and underway for issue 4! Send em in by June 1!!!!!!!!!!!!! 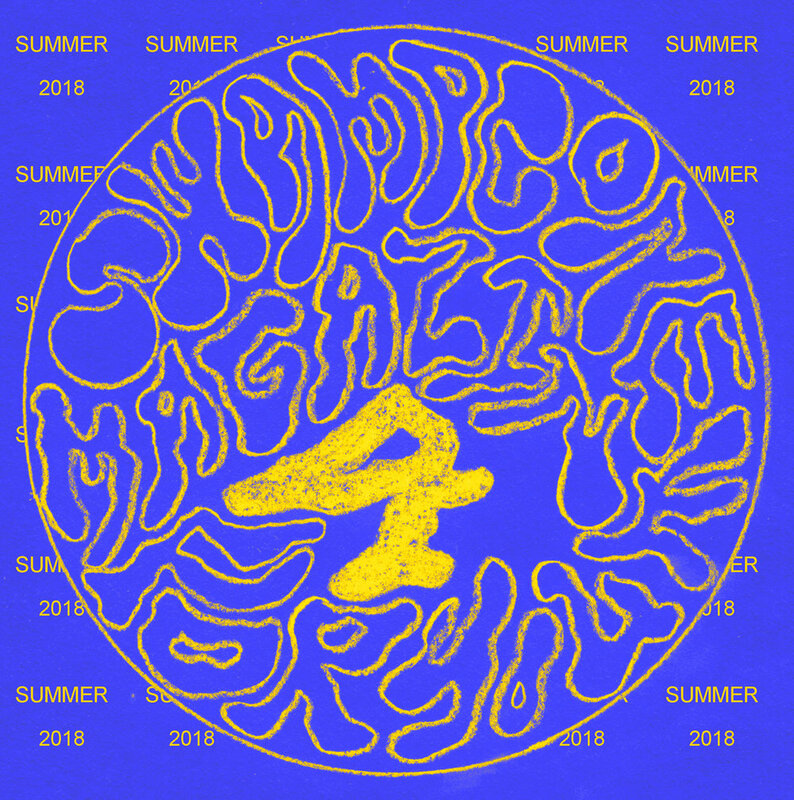 Details under the submissions tab! thanks for everyone who came by the party!! lot's of people ask where swampcone got its name. well.. there was this swamp and in it was a cone fashioned by the earth into a cone. what an image! this is a supposed to be picture of it but i can't see it in the picture some things are hard to place.